Following on from our previous blog post about tow bar regulations, we have provided a second set of guidelines. 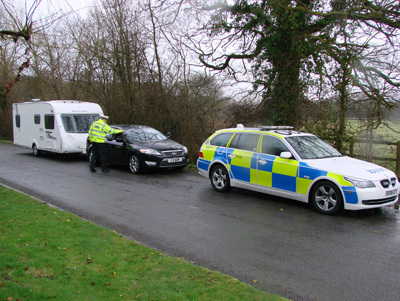 These rules deal with aspects such as trailer registration, speed limits while towing and a few others. The regulations have been categorised accordingly. All towing vehicles must comply with the relevant standards for registration and be roadworthy at all times. Brake connections, if the trailer is fitted with power or electric brakes. Extra mirrors may be required for the towing vehicle if you are towing a large trailer. Extra transmission oil cooler may be needed for vehicles with automatic transmission. For a motor vehicle and trailer combination that has a gross combination mass (GCM) of less than 4.5 tonnes, the sign posted speed limited will apply. When the GCM exceeds 4.5 tonnes and there is no sign posted speed limit and you are not driving in a built up area, the speed limit is 100km per hour. A safe speed, satisfactory stopping distance, and any other requirement that has been imposed by the manufacturer of the towing vehicle also applies. For certain road conditions – sharp bends, steep descent and winding roads – special speed limit signs may be posted for larger vehicles like trucks, road trains and buses. For motor vehicles towing a trailer, the speed should never exceed the limit shown on the sign. 751 – 2000kg: braking on both wheels on at least one axle. 2001 – 4500kg: braking on all wheels, and an automatic breakaway system in the event of the trailer becoming detached from the vehicle during travel. All brakes must be fully operable from the driver’s seating position. Should be marked with the manufacturer’s name or trademark and rated capacity. Must be equipped with a positive locking mechanism. The locking mechanism must be able to be released, regardless of the angle of the trailer to the towing vehicle. If a trailer weighs less than 2500kg when loaded, it must be fitted with at least one safety chain. If the trailer weighs more than 2500 when loaded, it must be fitted with two safety chains. Crossed over if two chains are fitted.